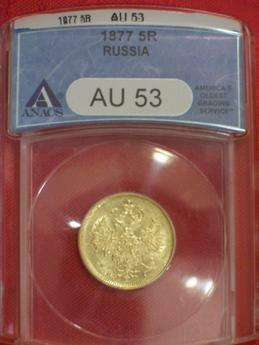 You are looking at a 1877 5 Rouble Gold Coin graded AU53 by ANACS. This coin was minted during the reign of Czar Alexander II (The Liberator) 1855-1881. Limited quantities, new ANACS clearview holder. 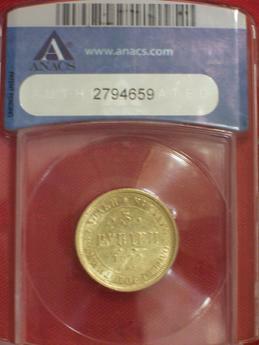 Great condition for a collectible coin that is 129 years old.